The FBI and Secret Service are investigating a threatening letter sent to Donald Trump's sister the day after a similar letter was received by one of the Republican presidential front-runner's sons, NBC News reported. The incident comes amid growing reports of clashes and chaos surrounding Trump's campaign. 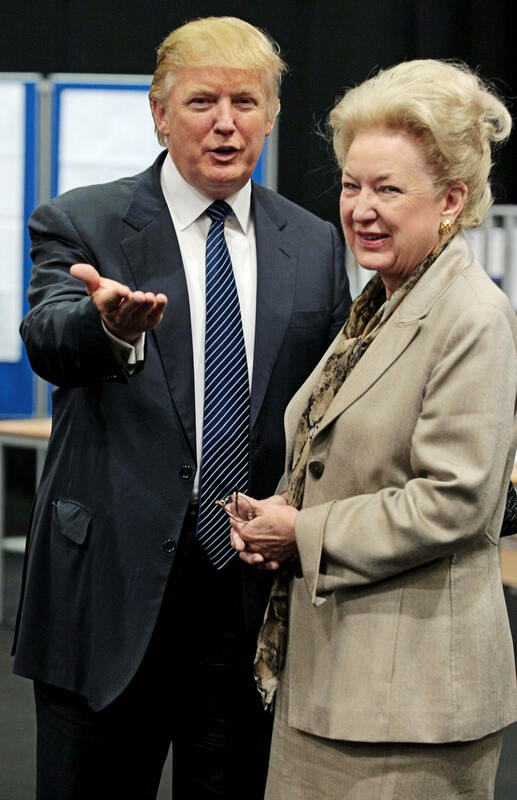 Maryanne Trump Barry, a federal appellate court judge in Philadelphia, received an anonymous letter Friday threatening harm if Trump didn't remove himself from the presidential race, NBC reported anonymous sources told them. It remains unclear if the letter was mailed to 78-year-old Barry's personal home or office or if it was sent by the same sender behind the letter Trump's son received the day before. Eric Trump, who has actively campaigned for his father, received a threatening letter Thursday which was postmarked from Massachusetts. The letter sent to Trump's son contained a white powder later identified to be a non-toxic substance. CNN reports the powder "appeared to be lemonade mix," although there has been no confirmation. The letter sent to Barry in Philadelphia did not contain a white powder. In both letters, the sender demands Trump drop out of the Republican presidential primary. "The FBI is aware of the incident and is working closely with the United States Secret Service and U.S. Marshals Service," the FBI Philadelphia told USA Today in a statement, declining to provide further details. This isn't the first time Barry has been dragged into the spotlight during her brother's political campaign. She became the target of attacks from Republican presidential candidate Texas Sen. Ted Cruz after Trump jokingly mentioned nominating his sister to replace Supreme Court Justice Antonin Scalia. Cruz quickly attempted to paint Barry as a "radical pro-abortion extremist," citing an opinion she wrote in 2000 that overturned a New Jersey ban on partial birth abortions. In her opinion, Barry said she felt the law was too broad could be interpreted as banning abortions at all stages. "Now, it’s good to stand with your sister," Cruz told reporters in Aiken, South Carolina back on Feb. 15. "But Donald’s sister was a Bill Clinton-appointed federal appellate judge who is a radical pro-abortion extremist." Trump defended his sister against Cruz's claim she was an extreme liberal, touting her as "a brilliant judge" whose 2000 opinion was shared by conservative Supreme Court Justice Samuel Alito, The Washington Post reported. Trump's family aren't the only members of the GOP to receive threats during the 2016 election. The campaign headquarters of both Cruz and Sen. Marco Rubio have also been on the receiving end of threats, according to The Washington Post. With how provocative and debated this year's Republican presidential primary has been, threats demanding candidates drop from the race, while troublesome, are not completely unexpected. They've become a sad part of elections as political debate become more and more polarizing and personal.